Potluri, Rajasekhara Mouly, Lee, Jung Wan, & Abiebie, Hailu (2010). “Hello! Ethiopian Managers, Be Positive.” African Journal of Business Management, Vol. 4, No. 8, pp. 1431-1437. ISSN 1993-8233. July 2010. Academic Journals. DOI Information: http://www.academicjournals.org/journal/AJBM/article-abstract/BA1BBBD26228. Lee, Jung Wan, & Potluri, Rajasekhara Mouly (2013). Behavioral Intention to Searching Retail Franchise Information Using Social Networking Sites: A Customer Value Perspective. In J.W. Lee. M.K. Youn, & D.H. Kim (Eds. ), Proceeding of the Fourth International Conference on Innovation, Technology, Communication for Sustainable Business and Development. ISSN: 2287-478X. Vol.4 (pp. 137-141). Busan, Korea. July 11-14, 2013. Korea Distribution Science Association. http://kodisa.org/Conferences/13257. Lee, Jung Wan, & Brahmasrene, Tantatape (2013). Tourism, Economic Growth and Carbon Emissions Patterns in Southeast Asia: A Dynamic Panel Data Approach. Proceedings of the 2013 International Conference on Business and Information (BAI2013). (pp. C6-1). Bali, Indonesia. July 7-9, 2013. International Business Academics Consortium (iBAC) https://www.ibac-conference.org/. Best Paper Award Winner. Lee, Jung Wan (2011). “Perceived Innovativeness and the Acceptance of Online Management Education: A Cross-cultural Study,” Proceedings of the 48th Annual Meeting of the Eastern Academy of Management (pp. 1610-1627). ISBN: 978-0-9836282-0-0. May 11-14, 2011, Boston, MA: The Eastern Academy of Management. Becker, Kip, Lee, Jung Wan, & Nobre, Helena (2010). “The New Ecommerce Freeloaders: Effects on Consumer Behavior and Decision Making,” Proceedings of 3rd Annual EuroMed Conference on Business Developments across Countries and Cultures (pp. 117-130). ISBN: 978-9963-634-83-5. November 2010. Nicosia, Cyprus: EuroMed Press. Lee, Jung Wan, & Mendlinger, Samuel (2010). “Effect of Perceived Operational Competence on Users’ Mobile Commerce Use and Adoption,” Proceedings of 2010 Global Marketing Conference at Tokyo (pp. 2282-2286). ISSN: 1976-8699. September 2010. Seoul, Korea: Korean Academy of Marketing Science and Society for Marketing Advances. Lee, Jung Wan, & Mendlinger, Samuel (2010). 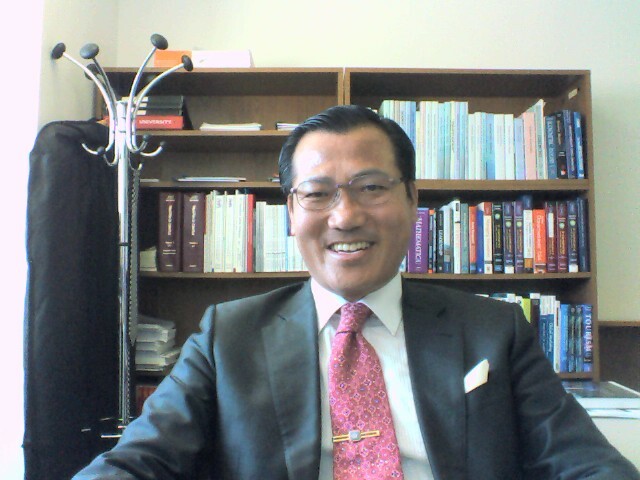 “Perceived Self-efficacy and Its Effect on Online Learning Acceptance and Student Satisfaction in Korea and the U.S.,” Proceedings of 2010 Global Marketing Conference at Tokyo (pp. 2403-2407). ISSN: 1976-8699. September 2010. Seoul, Korea: Korean Academy of Marketing Science and Society for Marketing Advances. Lee, Jung Wan, & Tai, Simon W. (2008). “Environmental Management and Sustainable Development in the Oil and Gas Industry: A Case Study from Kazakhstan,” in Eddie N. Laboy-Nieves, Fred C. Schaffner, Ahmed H. Abdelhadi, and Mattheus F.A. Goosen (Eds. ), Environmental Management, Sustainable Development and Human Health (pp.185-198). ISBN 978-0-415-46963-0. November 2008. London, UK: Taylor & Francis. Lee, Jung Wan (2008). “New Technologies for Human Development: A Case Study from Eurasia,” in Eddie N. Laboy-Nieves, Fred C. Schaffner, Ahmed H. Abdelhadi, and Mattheus F.A. Goosen (Eds. ), Environmental Management, Sustainable Development and Human Health (pp.241-250). ISBN 978-0-415-46963-0. November 2008. London, UK: Taylor & Francis. Lee, Jung Wan, Kim, Young-Ei, & Kim, Woong-Jin (2008). “Personality Traits as Predictors of Service Quality Perception and Customer-oriented Personnel of Logistics Organizations,” Proceedings of the 2008 International Annual Conference of the Korea Logistics Association (pp.158-168). June 2008. Seoul, Korea: Korea Logistics Association. Lee, Jung Wan, & Baimukhamedova, Gulzada S. (2008). “Strategies for WTO Accession and for Economic Integration of Central Asia: A View from Kazakhstan,” Proceedings of the International Scientific and Practical Conference (pp.20-23). ISBN: 9965-700-83-4. April 2008. Almaty, Kazakhstan: Kazakh-British Technical University. Lee, Jung Wan, & Tai, Simon W. (2007). “Cultural Influence on Negotiation and Decision-Making: A Comparative Study of Kazakhstan and the United States,” In Allam Ahmed (Ed. ), Managing Knowledge, Technology and Development in the Era of Information Revolution (pp.522-539). ISBN 0-9551771-3-8. October 2007. Brighton, UK: World Association for Sustainable Development. Lee, Jung Wan, & Tai, Simon W. (2007). “Adjusting External Trade Strategies and Its Effects on the Sustainable Economic Development of Kazakhstan,” In Allam Ahmed (Ed. 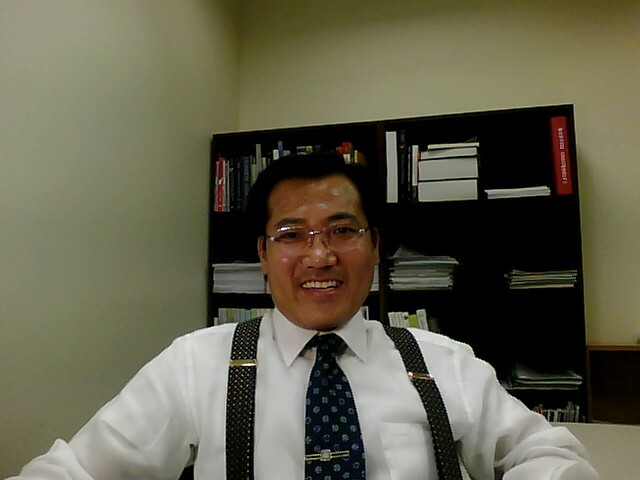 ), Managing Knowledge, Technology and Development in the Era of Information Revolution (pp.474-485). ISBN 0-9551771-3-8. October 2007. Brighton, UK: World Association for Sustainable Development. Lee, Jung Wan, & Tai, Simon W. (2006). “Dissatisfaction Determinants, Consumer Complaint Behavior, and Grievance Communication Channels by Young Consumers in Transition Economies”, In Allam Ahmed (Ed. ), World Sustainable Development Outlook 2006 (pp.360-370). ISBN 0-907776-29-9. November 2006. Bucks, UK:Inderscience Publishers. Lee, Jung Wan, & Tai, Simon W. (2006). “Critical Factors Affecting the Growth of E-commerce Adoption: A Cross-Cultural Comparison of American, Korean, and Kazakhstan Consumers”, In Allam Ahmed (Ed. ), World Sustainable Development Outlook 2006 (pp.265-273). ISBN 0-907776-29-9. November 2006. Bucks, UK:Inderscience Publishers. Lee, Jung Wan, & Tai, Simon W. (2006). “Impacts of Foreign Direct Investment on Country Image and Company Image in a Developing Country”, In Allam Ahmed (Ed. ), World Sustainable Development Outlook 2006 (pp.305-315). ISBN 0-907776-29-9. November 2006. Bucks, UK:Inderscience Publishers. Lee, Jung Wan, & Tai, Simon W. (2006). “The Development of Major Industries and Its Relationship in Sustaining the National Competitiveness of Kazakhstan”, Proceedings of the International Conference of the Kazakh National University named Al-Farabi (pp.14-23). Almaty, Kazakhstan: Kazakh National University named Al-Farabi. Lee, Jung Wan, & Tai, Simon W. (2005). “Impacts of Multinational Firms’ Marketing Strategies on Kazakhstan Consumers”, In Allam Ahmed (Ed. ), World Sustainable Development Outlook 2005 (pp.55-67). ISBN 1-903721-00-8. November 2005. Bradford, UK: Emerald Publishing. Lee, Jung Wan (2005). “Critical Factors to Students’ Satisfaction of Business Education in Transition Economies”, Proceedings of the Fifth International Conference on Business and Education: Development Vector (pp. 201-206), Almaty, Kazakhstan: International Academy of Business. Lee, Jung Wan, & Tai, Simon W. (2005). “Benefits and Expectations of Market-oriented Business Education in Transition Economies”, Proceedings of the Fifth International Conference on Business and Education: Development Vector (pp. 207-210), Almaty, Kazakhstan: International Academy of Business. Lee, Jung Wan, & Tai, Simon W. (2005). “Impacts of Globalization on Subculture and Consumer Happiness in Transition Economies”, In Coskun Can Aktan (Ed. ), Proceedings of The First International Conference on Business, Economics, and Management, Vol. 4, (pp. 107-118). ISBN: 975-6339-03-9. Izmir, Turkey: Yasar University. Lee, Jung Wan (2005). “Retailing, Merchandizing and Marketing Strategies in Kazakhstan”, Marketing: Services and Goods, April/05 Issue, No. 4 (39), pp. 14-16. Lee, Jung Wan (2005). “Why Mobile Customers Are So Changeable? Understand Your Customer”, Marketing: Services and Goods, May/05 Issue, No. 5 (40), pp. 18-21. Lee, Jung Wan (2002). 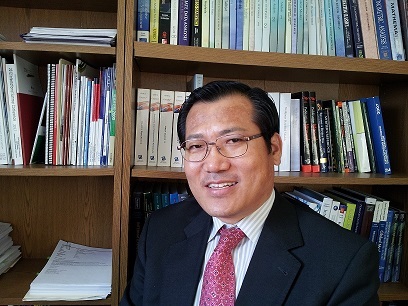 “Measurement Scale of Consulting Service Quality”, In Chun-Yeop Park and Yoon-Bo Lee (Eds. ), Proceedings of The 2002 Spring Academic Conference (pp. 103-120), April 2002. 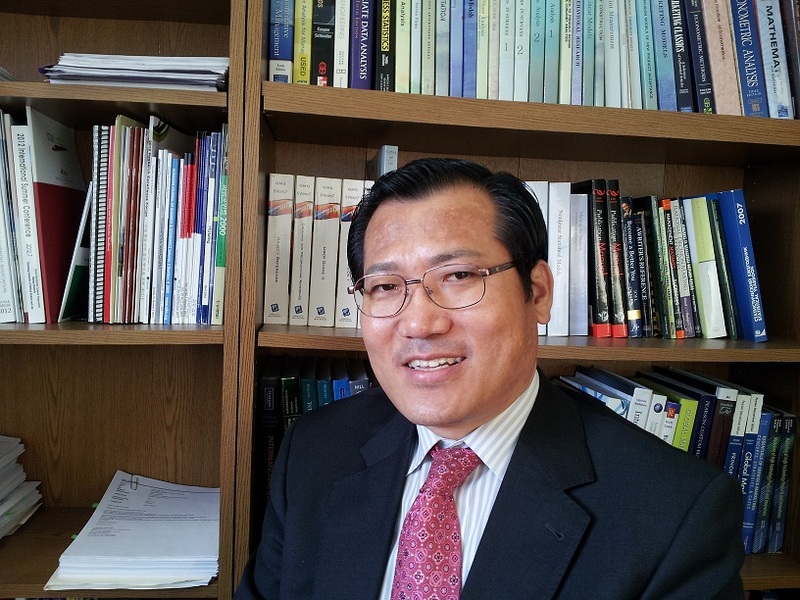 Seoul, Korea: Korean Association of Small Business Studies.